In this game you have to use your tools to dig and crash in a cave as you search for your pet mole who’s gone loose. Try to find it while the ceiling slowly colapses, filing the ground with more and more obstacles. Try not to get hit and watch out for bombs and other moles! 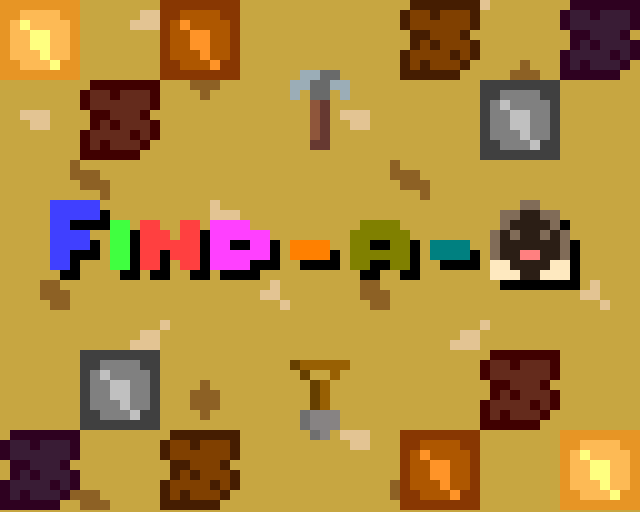 Disclaimer: This game was made for LD42 and upgraded for LOWREZJAM. Unfortunately I wasn't able to make a stage selection screen and a score/time count system in time. Despite that, I really liked the result and finishing the game is quite challenging! Good luck and enjoy!